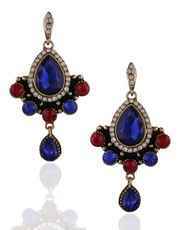 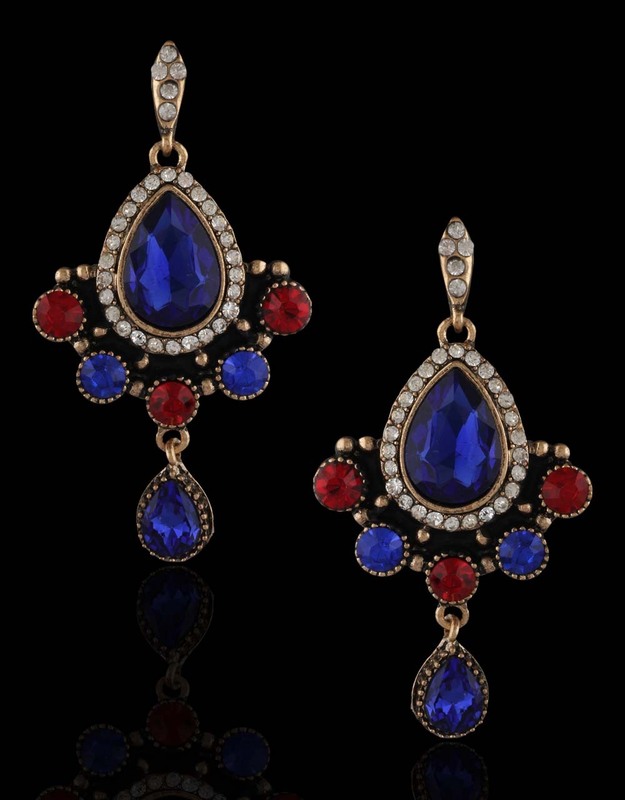 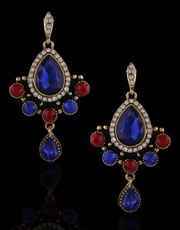 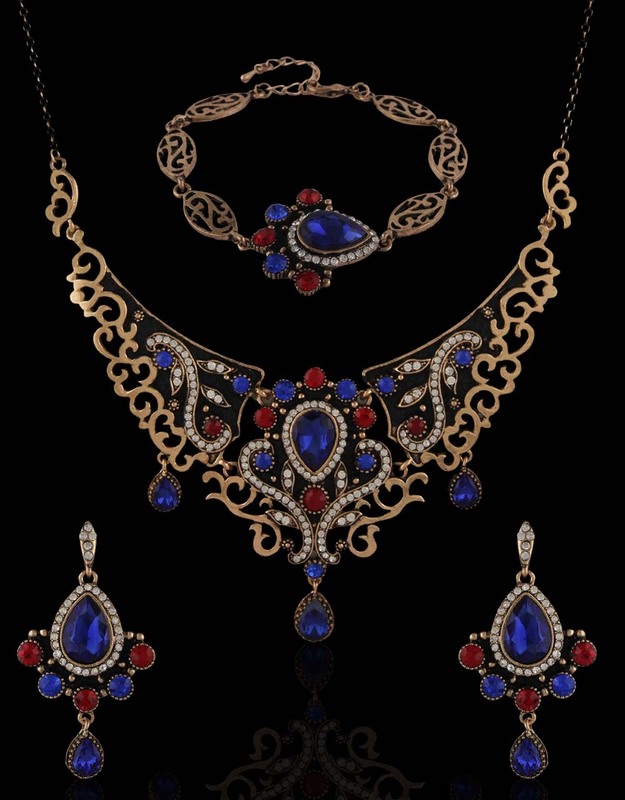 Perfect one to wear at festive occasion, this red & blue colored necklace set from Anuradha Art Jewellery is embedded with sparkling stones & feature flawless mina work. 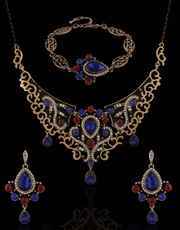 It is crafted from antique polished Korean metal. 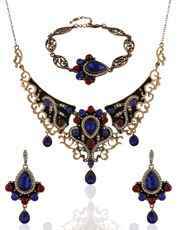 This combo pack consists of necklace, pair of matching earrings & bracelet. 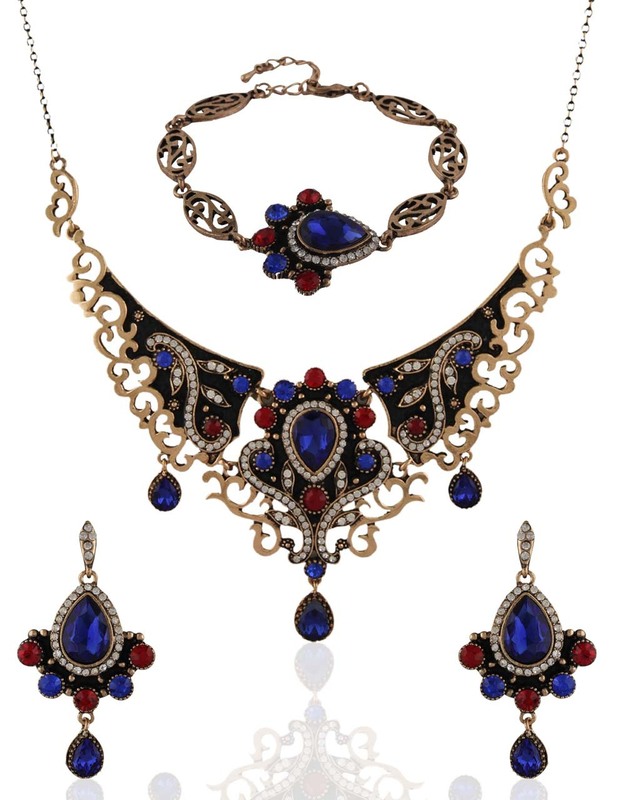 Necklace, Pair of Earring, Bracelet.